Product successfully added to your reservation! There are items in your reservation. 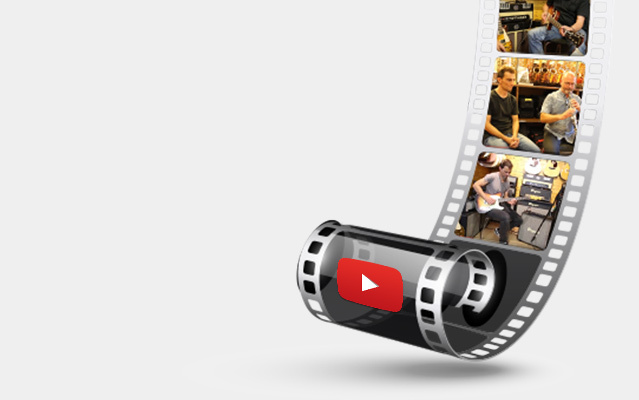 Our team in your listening! 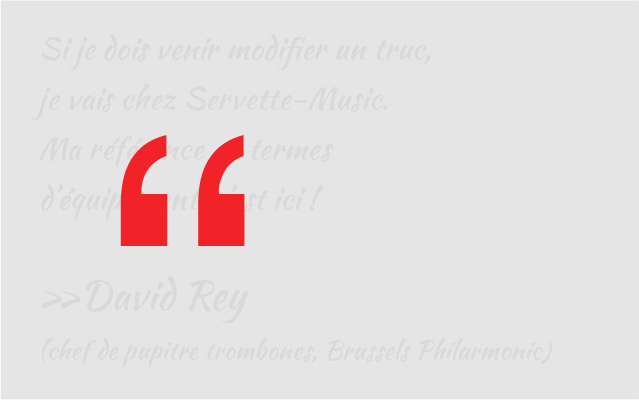 FROM LEARNER TO EXCEPTIONAL QUALITY INSTRUMENTS, THE BEST QUALITY FOR A GIVEN BUDGET..
SIX HIGHLY SPECIALIZED AND DEDICATED EMPLOYEES, CUSTOMIZED REPAIRS AND SPECIAL CREATIONS. 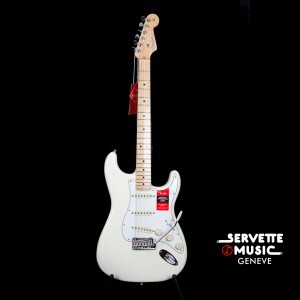 Fender electric guitar, model American Pro Stratocaster, in olympic white. Maple neck with rosewood fretboard. Made in USA. Fender Custom Shop electric guitar, model Stratocaster, Limited edition NAMM 2018, Relic and Fiesta Red Finish. Alder body, maple neck. With case. 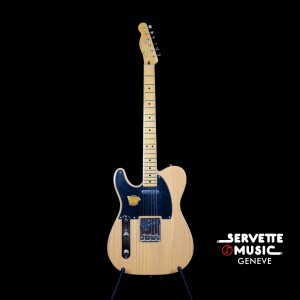 Fender Custom Shop electric guitar, limited edition, model Telecaster 1953, Heavy Relic, maple neck, "Butterscotch Blonde" color. 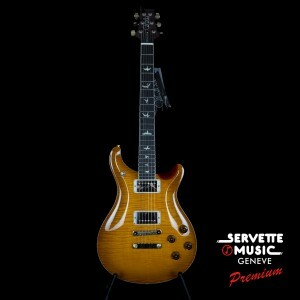 Paul Reed Smith electric guitar, model McCarty 594, in sunburst finish. Mahogany body and neck with maple top, rosewood fretboard, 2 splittable hum buckers (push/pull), 58/15 LT Pickups. With case. 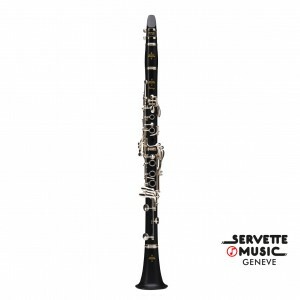 Besson "New Standard" Bb baritone, model 157, 13.34 mm bore, 3 stainless steel pistons, 203 mm bell, clear lacquer or silver-plated finish, with case. Buffet Crampon Bb student clarinet, model BC2541 prodige, in ABS, 17/6, silver plated keys, leather pads, with original case and accessories. 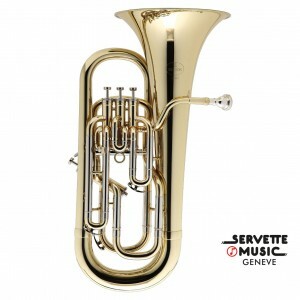 MTP French horn, model K-15, in yellow brass, 11.90mm bore, 280mm fixed bell, lacquer finish, with case. 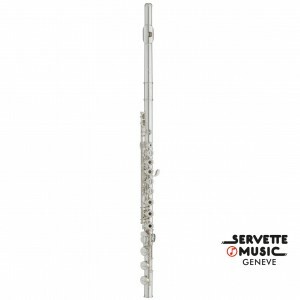 Yamaha YFL-482 flute, intermediate semi-professional model, sterling silver head joint and body, silver-plated nickel-silver keywork, in-line open-holed keywork, drawn toneholes, with case, case cover and maintenance accessories. 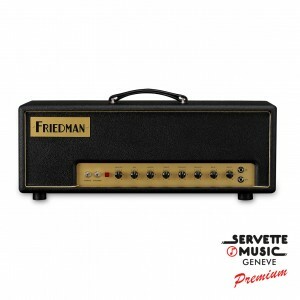 Friedman amplifier, model "Small Box" head, « Point-To-Point » construction, FX Loop, Master Volume, Line out, 2 channels, 50 Watts, 2 EL34, with Footswitch. 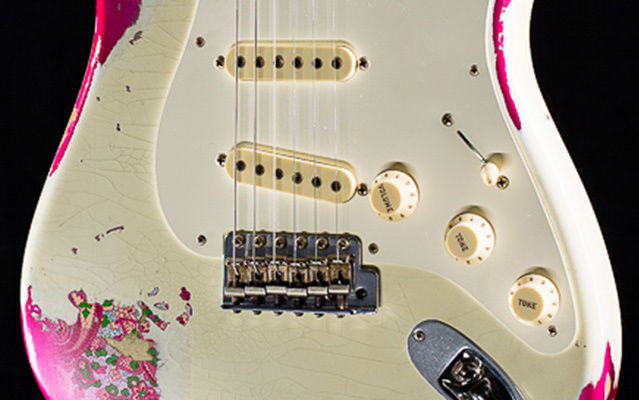 Fender Custom Shop electric guitar, model Stratocaster, Limited edition NAMM 2018, Olympic White Finish. Alder body, maple neck. With case. Lowden professionnal folk guitar, model F35C GR/AS, 35 Series, cutaway all solid woods. 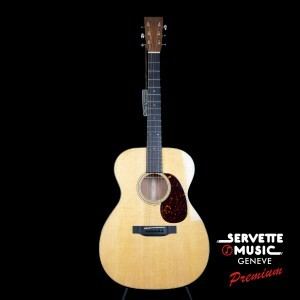 Martin professional folk guitar, model D15M Streetmaster, 15 Series, all solid woods. 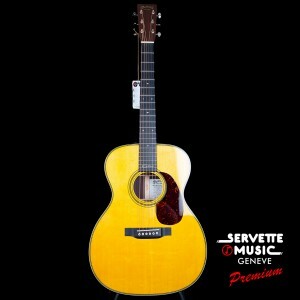 Martin professionnal folk guitar, model 00028EC Eric Clapton Signature, Custom Artists Edition Series, all solid woods. 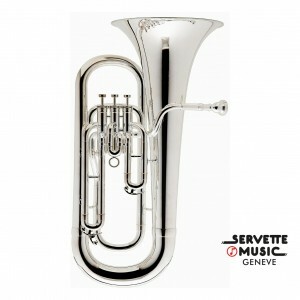 Besson Bb euphonium, model BE-162, 14.72 bore, 3 stainless steel piston valves, 280 bell, silver-plated finish. Also available in clear lacquer finish. With case. 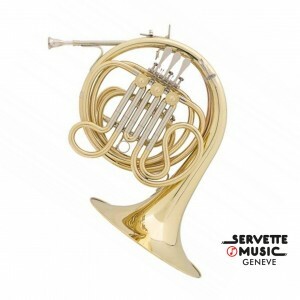 Geneva Bb cornet, model Symphony, 11.50mm bore, 120mm goldbrass bell, silver-plated finish, with case. 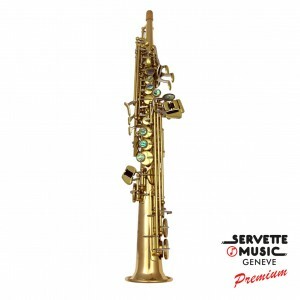 Advences Sopranino Saxophone, model NINOR, one piece straight body, serie RJ, in goldbrass, clear lacquered, with case. Buffet Crampon professional Bb clarinet, model BC1156 Légende, in grenadilla, 19/6, silver plated keys, with original case and accessories. 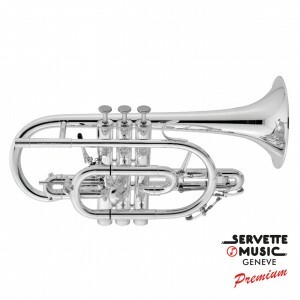 Besson Bb student cornet, model BE120-2-0, 11.68mm L (large) bore, stainless-steel piston valves, traditional case, adjustable 1st and 3rd slides, silver-plated. Also available in clear lacquer finish. Fender electric guitar, model Stratocaster American Original, 3-tone sunburst. Maple neck. With case. Fender Custom shop bass guitar, model Jazz Bass '64, 3-tone sunburst color. Maple neck with rosewood fretboard. With case. 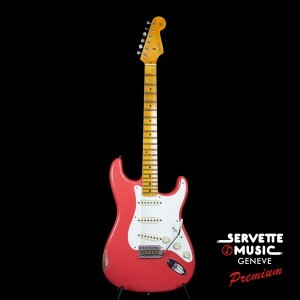 Fender Custom Shop electric guitar, model Stratocaster 1957, Journeyman Relic, maple neck, fiesta red color. 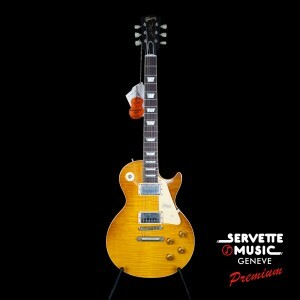 Gibson Custom Shop electric guitar, model Les Paul VOS '59 Honey Lemon Fade, authentic '59 medium neck profile, 2 Custom buckers pickups in neck and bridge positions. 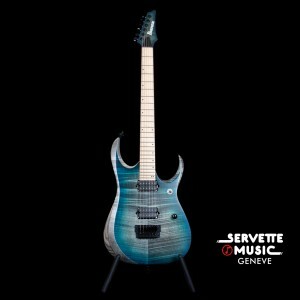 Ibanez electric guitar, model RG8527Z J. Custom, in SDE (sodalite) finish. 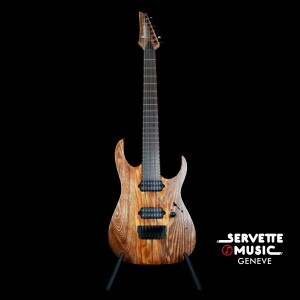 Selected Rosewood fretboard with Flamed Maple binding and Tree of life inlay, AAA Flamed Maple top and African Mahogany back body, maple/wenge neck, Di marzio PAF7 pickups, tremolo ZPS3 Zero point system. With case. 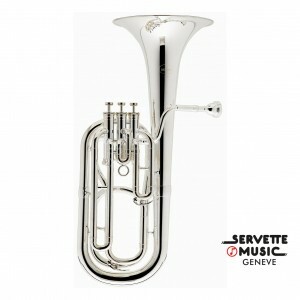 Besson Bb euphonium, model BE-165, 14.72 bore, 4 stainless steel piston valves (3+1), 280 or 304 bell, clear lacquer finish. Also available in silver plated finish. With case. 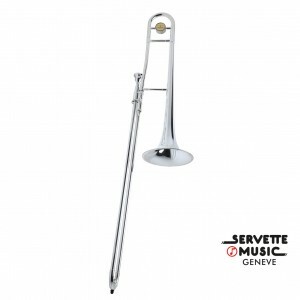 MTP tenor trombone, model 127 Junior, 12.7-13.34 duo bore, brass bell, chrome plated nickel silver slide, mouthpiece and case included, clear lacquer finish. 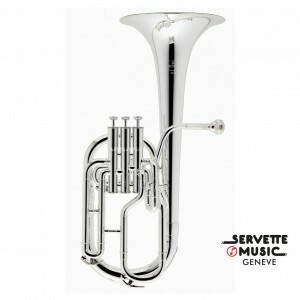 Besson "New Standard" 152 Alto Horn, 11,84mm bore, stainless steel pistons, 203 mm bell, lacquered or silver-plated finish, with compact case. 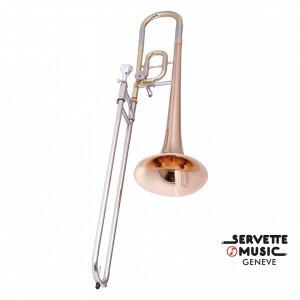 Besson tenor trombone, model BE-130, 12.7 bore, bell diameter 203mm in brass, chrome plated nickel silver slide, mouthpiece and case included, silver-plated finish. 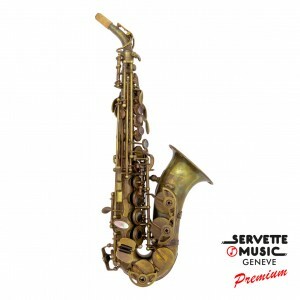 Advences soprano saxophone, model SC900VT, vintage series, curved and engraved, keys ergonomically optimized, with case. Martin custom shop professional folk guitar, model FGL00014, all solid woods. 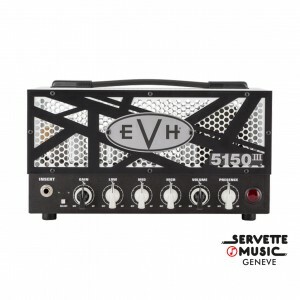 EVH "lunchbox" amplifier, model 5150III LBXII, 2xEL84, high gain dual channel head (the famous green and blue channels), 15Watts, FX loop, full or 1/4 power switch, footswitch (ch1/2). 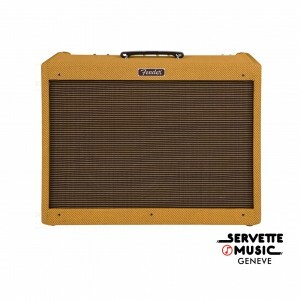 Recommended cab: 5150III 1X12' Straight Cabinet equipped with 1 Celestion G12H30 Anniversary. Softcase included. 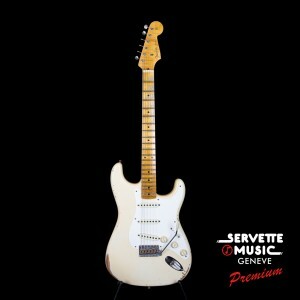 Fender Custom Shop electric guitar, model Stratocaster 1964 Name Limited, Journeyman Relic, maple neck with rosewood fretboard, super faded aged vintage white color, with original Custom Shop 64 handwound pickups. With case. Vigier electric guitar, model Excalibur Kaos, in black finish. Naturally aged Alder body, maple neck with rosewood fingerboard, HH - 2 Amber Pickups, reverse headstock. Kill switch. 2011 Vibrato. With case. 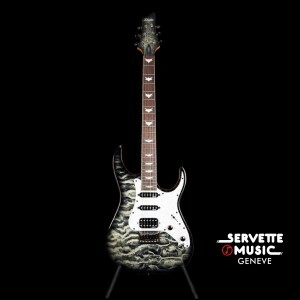 Vigier electric guitar, model GV Wood Ebony, in "ebony fade" finish. Naturally aged Alder body for 3 years, maple neck with phenowood fingerboard, HH - 2 Amber hand wound Pickups, Schaller Locking tuners. With case. 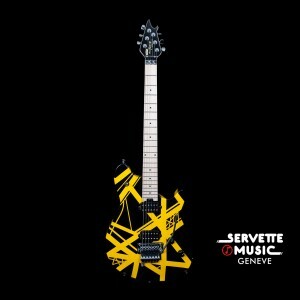 EVH electric guitar, model Wolfgang Special Striped, in black finish with yellow stripes. Basswood body, maple neck, HH configuration with two EVH Wolfgang humbuckers, Floyd Rose R2 Locking vibrato. 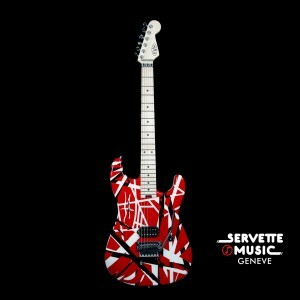 EVH electric guitar, model Striped Series, in red finish with black and white stripes. 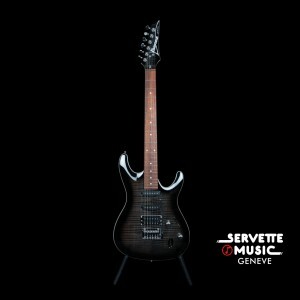 Basswood body, maple neck with graphite reinforcement, 1 EVH Wolfgang humbucker, EVH Floyd Rose Vibrato avec EVH D-Tuna. Paul Reed Smith electric guitar, Silver Sky model, in Frost finish. Alder body, maple neck with rosewood fretboard, 3 single coils. With case. 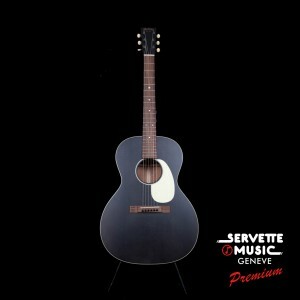 Martin professional folk guitar, model 00L17, Black Smoke finish, all solid woods. 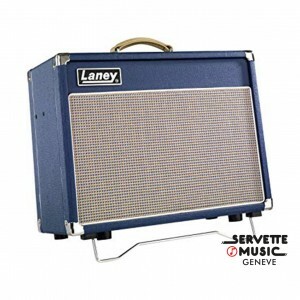 Laney guitar tube amp head, 5 Watts, Class A, 2 channels, USB connectivity, DI, headphones output, reverb, switch included. 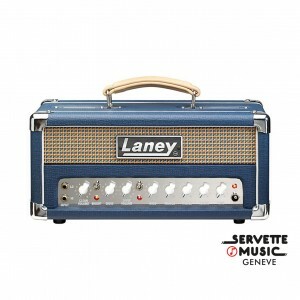 Tube amp combo by Laney, 5 Watts, 12" speaker, 2 channels, reverb, switchable effects loop. Ibanez electric guitar, limited edition, Premium range, JEM Steve Vai Signature model, mahogany body, walnut top, 5 piece Wizard neck, two Dark Matter 2 humbuckers and a single coil Dark Matter 2, vibrato Edge Zero II, with case. Paul Reed Smith electric guitar, model Custom 24, in Faded Whale Blue. Mahogany body and neck with maple top, rosewood fretboard, 2 splittable humbuckers (push/pull), 85/15 pickups. With case. Paul Reed Smith electric guitar, Hollowbody II model, in Emerald Green finish. Mahogany body with maple top, rosewood fretboard, 2 humbuckers 58/15 LT pickups. With case. Martin professional folk guitar, model OM21 New, all solid woods. 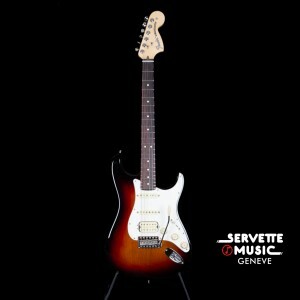 Squier electric guitar, model Stratocaster Classic Vibe 50's, in 3-tone sunburst color. 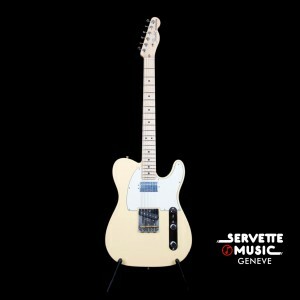 Fender electric guitar, model Telecaster American Performer, in Vintage White color. Maple neck with maple fretboard, Yosemite single coil in the bridge and splittable DoubleTap humbucker in the neck position. Made in USA. 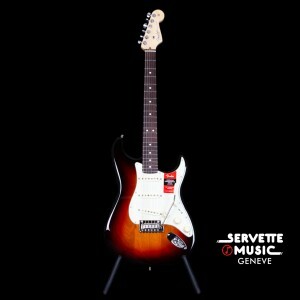 Fender electric guitar, Stratocaster American Performer model, in 3 tone sunburst finish. Maple neck with maple fretboard, 2 Yosemite single coils and splittable DoubleTap humbucker in the bridge position. Made in USA. 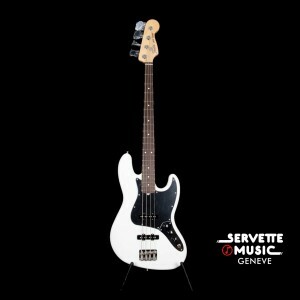 Fender electric bass, model Jazz Bass American Performer, in Arctic White color. Maple neck with rosewood fretboard. 2 Yosemite pickups, Greasebucket circuit. Made in USA. 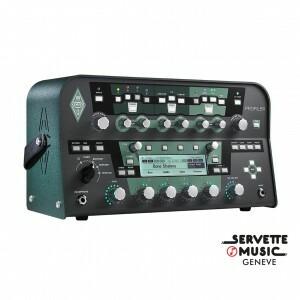 Kemper profiler, amp modeling head with 600 Watts Bang & Olufsen built-in power amp, multi-effects, effects loop, I/O: Jack, monitor, direct, aux-in, s/pdif, stereo/mono Jack, headphones, MIDI in/out/thru, USB, RJ45 (for Remote). Gibson electric guitar, model ES 335 Traditional 2018, Antique Faded Cherry color. Hollow body, rounded C neck profile, 2 MHS humbuckers (Memphis Historic Spec) , Grover Rotomatic. With case. 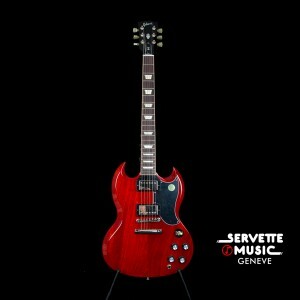 Gibson CS electric guitar, ES 335 model, '62 VOS Sixties Cherry finish. 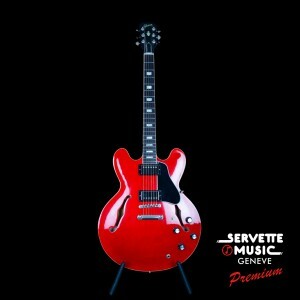 Hollow body, slim taper neck, 2 MHS humbuckers (Memphis Historic Spec), Grover Rotomatic. With case. 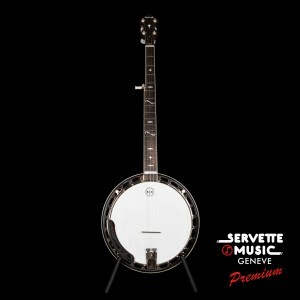 Bishline USA banjo, Cimarron model, 5 strings, bluegrass, walnut w/fancy burl walnut resonator, satin finish, ebony w/original MOP inlay fingerboard, Bishline ring, 3-Ply maple ring, with case. Ibanez electric guitar, Sabre SA260FM model, translucent black finish, mahogany body, flamed maple top, maple neck, jatoba fretboard, new 2 points T102 tremolo, 2 Resolution single coils and 1 Quantum humbucker. 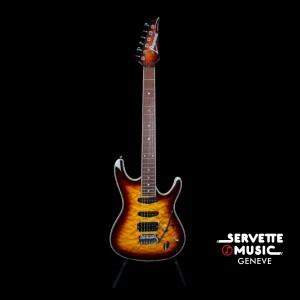 Ibanez electric guitar, Sabre SA460QM model, sunburst finish, mahogany body, quilted maple top, maple neck, jatoba fretboard, new 2 points T102 tremolo, 2 Resolution single coils and 1 Quantum humbucker. Ibanez electric guitar, RGD61AL Axion Label model, Stained Sapphire Blue Burst finish, ash body, Nitro Wizard neck in panga panga and walnut, birdseye maple fretboard, Gotoh hardtail bridge and tuners, 2 DiMarzio Fusion Edge humbuckers. 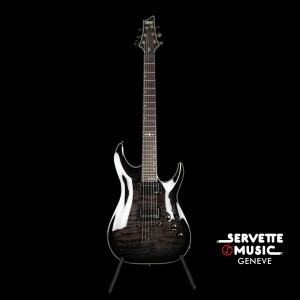 Ibanez 7 strings electric guitar, RGIXL7-ABL Iron Label model, ash body, maple/purpleheart Nitro Wizard-7 neck, Macassar ebony fretboard, Gotoh hardtail bridge and tuners, 2 DiMarzio Fusion Edge-7 humbuckers. Fender tube amp, Blues Deluxe Reissue model, 40W, 2 channels, 3 band EQ, master volume, reverb, 1x12" Eminence speaker, 2x6L6 tubes, effects loop, footswich (channel & reverb). 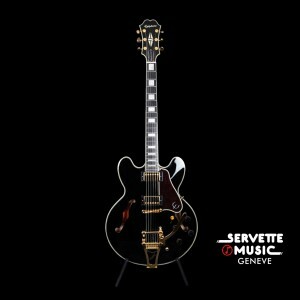 Epiphone electric guitar, ES-335 model, Joe Bonamassa signature, black finish, 3-ply maple/poplar/maple body, slim taper mahogany neck with D profile, ebony fretboard, Bigsby tremolo, Epiphone ProBucker 2 et 3 pickups, with case. Schecter electric guitar, Banshee Extreme model, Charcoal Burst finish, mahogany body, bolt-on maple neck, rosewood fingerboard, Floyd Rose tremolo, HSS pickup configuration. 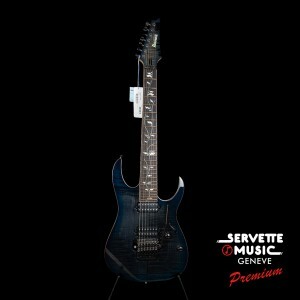 Schecter electric guitar, 7 strings Hellraiser Hybrid model, Translucent Black finish, mahogany body, set maple neck, ebony fingerboard, fixed bridge, 2 EMG 57-7H humbuckers. Schecter electric guitar, Sun Valley III SS model, Sky Blue finish, mahogany body, bolt-on maple neck, ebony fingerboard, Floyd Rose tremolo, HSS pickup configuration. 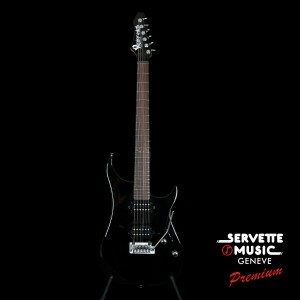 Schecter electric guitar, Hellraiser Hybrid C1 model, Translucent Black finish, mahogany body, set maple neck, ebony fingerboard, fixed bridge, EMG 57/66 humbuckers. Schecter electric guitar, C1 Apocalypse model, Rusty Grey finish, maple/padauk body, set maple neck, ebony fingerboard, Floyd Rose tremolo, 2 Schecter USA Apocalypse-VI pickups. 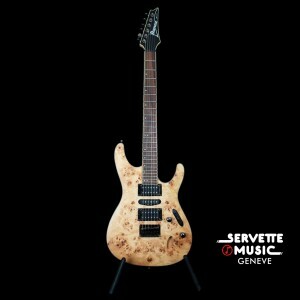 Schecter electric guitar, Solo II Custom model, Natural finish, mahogany body, mahogany set neck, ebony fingerboard, fixed bridge, 2 Schecter USA Pasadena (neck) and Schecter USA Pasadena Plus (bridge) humbuckers. 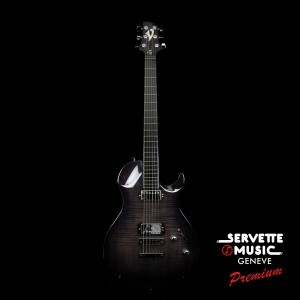 Schecter electric guitar, Hellraiser C1, Black Cherry finish, mahogany body, mahogany set neck, rosewood fingerboard, fixed bridge, 2 EMG 81TW/89R humbuckers. 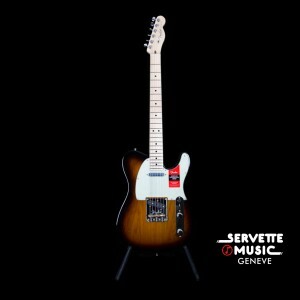 Fender electric guitar, model American Pro Telecaster, in 2-tone sunburst. Maple neck with maple fretboard. Made in USA. Gibson electric guitar, model SG Future, Wornbrown finish. Mahogany body, slim taper neck, 57 Classic & 57 Classic Plus Zebra pickups. With gigbag. 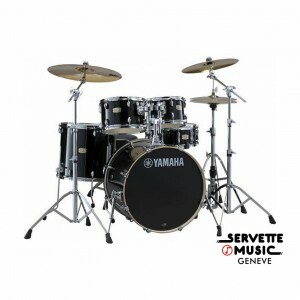 Yamaha drumkit, Stage Custom model, 100% lacquered birch, 5 shells set, rock oriented, very versatile. 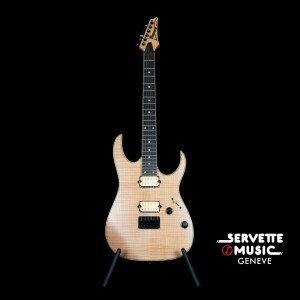 Ibanez electric guitar, S-Series S771PB, natural finish, mahogany body, maple neck, rosewood fingerboard, 24 frets, 2 Ibanez Quantum humbuckers, 1 Ibanez Quantum single coil. Fender electric guitar, American Pro Stratocaster model, 3-tone sunburst. Maple neck with rosewood fretboard. Made in USA. Schecter electric guitar, Nick Johnston USA Signature model, Atomic Green finish, alder body, bolt on wenge neck, ebony fingerboard, 2 point vintage tremolo, Nick Johnston Signature Atomic pickups set, with case. 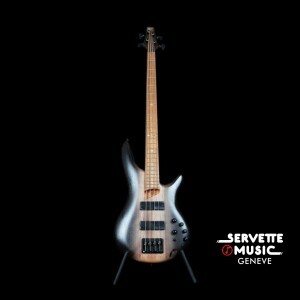 Ibanez electric bass, SR4 model, mahogany body, jatoba/bubinga neck, rosewood fingerboard, 2 active Bartolini MK1-4-F/R pickups. 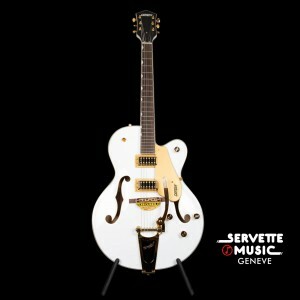 Gretsch electric guitar, Electromatic G5420TG model, white finish, maple body with maple top, maple neck, rosewood fingerboard, 2 Blacktop FilterTron humbuckers, B60 Bigsby vibrato. 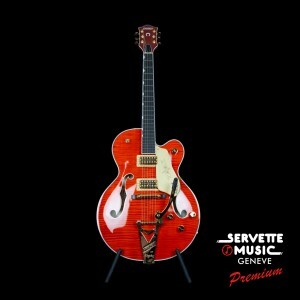 Gretsch electric guitar, Gretsch G6120TFM Nashville Players Edition model, Orange Stain finish, maple body with flames , maple neck, ebony fingerboard, 2 High Sensitive Filter'Tron humbuckers, B6GP Bigsby vibrato, Schaller locking tuners, with case. Ibanez electric guitar, RGEW521FM model, Natural finish, mahogany body, flamed maple top, Wizard III roasted maple neck, ebony fingerboard, 1 DiMarzio Air Norton Alnico humbucker and 1 DiMarzio Tone Zone Alnico humbucker, fixed bridge. Paul Reed Smith electric guitar, model Custom 24, limited edition. Mahogany body and neck with maple top, rosewood fretboard, 2 85/15 pickups. With case. 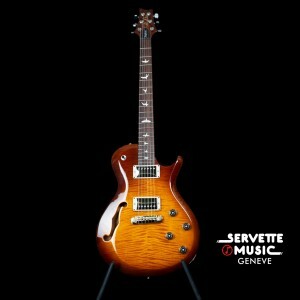 Paul Reed Smith electric guitar, S2 Single Cut Hollowbody model, in sunburst finish. 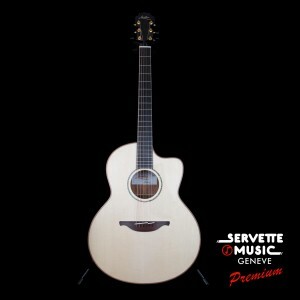 Mahogany body and neck with maple top, rosewood fretboard, 2 splittable #7 humbuckers (push/pull). With case.